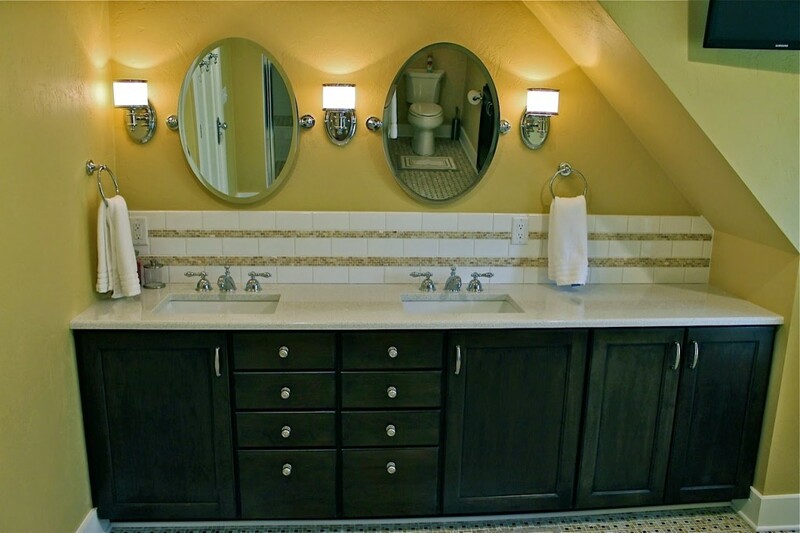 For this beautiful old Victorian bathroom remodel, the client chose a clean look for the bathroom which matches the old house feel and adds some interesting touches. The chrome accents and wall sconces give the room a simple, classy look. 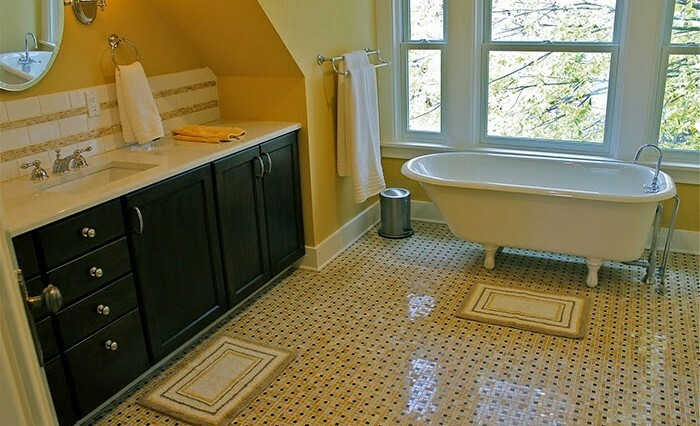 The Onyx floor mosaic is a contemporary material with an old time twist. One of the most interesting things about working on the bathroom was the surprise that awaited us in the attic. The tub was reclaimed from the attic and after some repair, repainting and a new faucet it looks and functions great! That’s not something you find everyday, but that’s what makes home remodeling in Madison such a pleasure.